Struggling to choose a grill? Discover top brands & values in our buying guide. If you are looking for a premium grill, you'll step into the world of higher output, faster cooking, and better searing capability. The best brands are Lynx, Kalamazoo, DCS, Hestan, and Wolf for a premium grill. 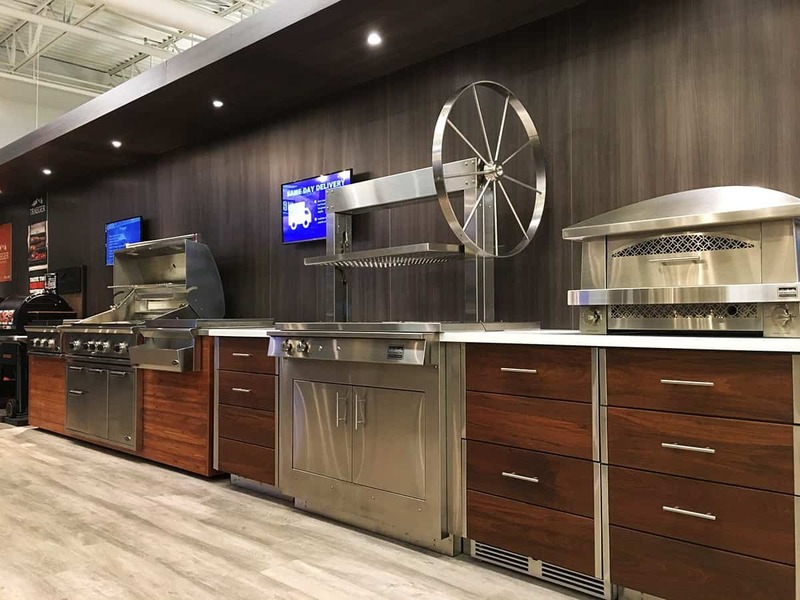 Among the best brands, Weber has always dominated the lower-end grills, while Lynx and Kalamazoo have been on the cutting edge of professional. between Lynx and Hestan Grills? In 2017, Hestan launched a very popular yet different professional grill. Many people compare Hestan vs Lynx in the store, so it seems fitting to write a comparison. In this article, you will learn the key features for both Hestan and Lynx followed by a side-by-side comparison. As of 2018, Lynx has also made a major radical change to its burner. First, let's look at both brands starting with Lynx Professional Grills. 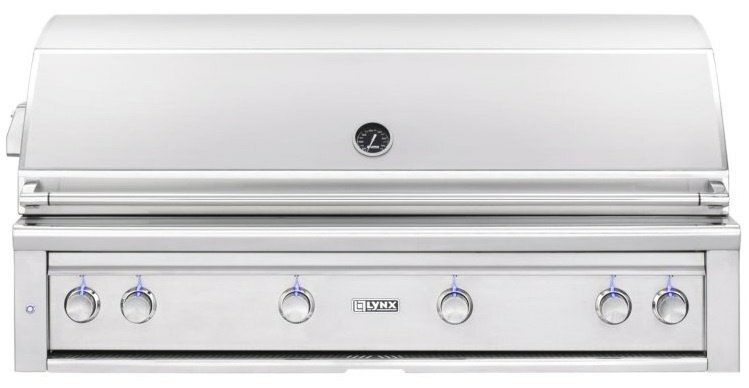 Lynx Professional Grills was founded in 1996. For more than 30 years Lynx had been manufacturing stainless steel products for the commercial restaurant industry. These products were engineered to stand up to heavy use. The Lynx founders were committed to incorporating the same high standards used for commercial restaurant products. Since then, they have improved the grill and were the first to have an easy opening cover, LED lights and the variable sear. Lynx currently dominates the industry with its professional grills. Lynx has been known for their brass burners and they have once again introduced an industry exclusive in 2016: the trident infrared sear burner. However, in 2018, Lynx is changing its cast brass burner to ceramic. All metal can corrode over time, even cast. Ceramic could be great because it should not corrode, but it can break. They also make their entry-level line known as the Lynx Sedona. This is basically their older grill line featuring 23,000 BTU burners instead of the PRO's 25,000 BTU and lighter in overall construction with their older and less powerful sear station. They adapted the restaurant kitchen based on how chefs really cook. The grills are manufactured entirely in the company’s 70,000+ square-foot, state-of-the-art headquarters in Anaheim, California. Heavy-duty Horizon Hood ™ opens easily with spring-assisted hinges and holds it in place at your desired height for easy access. Halogen Stadium Lights™ illuminate the entire cooking area with motion-activated under-hood lighting. Patent pending ceramic infrared top burner delivers 12,000 to 18,000 BTUs – perfect for searing/finishing and cooking with the included rotisserie. Trellis Burner™ design delivers 25,000 BTUs of high-performance power with greater heat coverage and precision control. 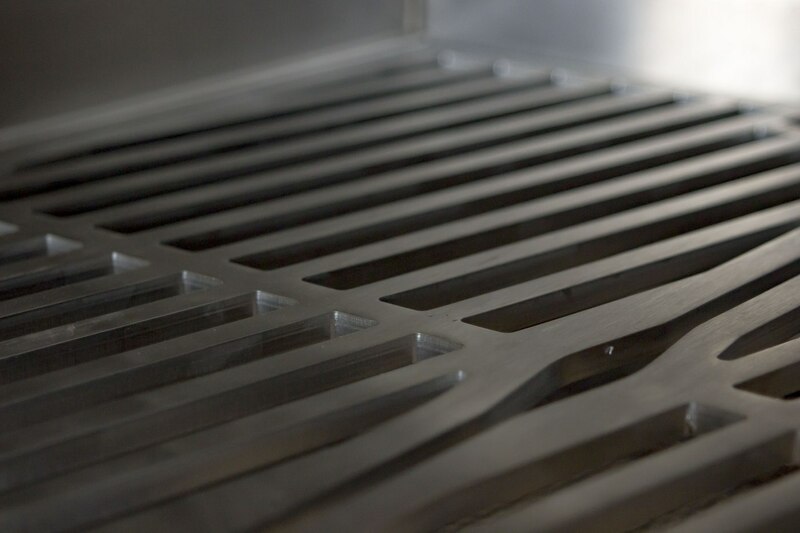 DiamondCut Grates™ create a superior grilling surface and greater heat distribution with ultra-heavy-duty 5/16″ stainless steel (lasered in-house). High-performance variable ceramic infrared sear burners offer 25,000 BTUs each. Flip-to-clean radiant tray with monogrammed ceramic briquettes generates smoky flavor from drippings. Concealed whisper-quiet rotisserie motor system features a chain-driven, single-speed, 6 rpm, 50 in-lbs motor. Patent-pending stainless steel DiamondCut™ warming rack is lasered in-house with three vertical positions and offers concealed storage when not in use. One-push automatic ignition system fires up the grill with a single click. LED front control panel lighting makes controls easy to operate even at night. Available in Natural Gas (NG) or Liquid Propane (LP). Style and performance: Hestan's professional grills also can be custom tailored with colors to truly make your own with these colors. Hestan (along with DCS) has the most powerful rotisserie burner. At 18,000 BTU, it will quickly and more evenly cook the meats on your rotisserie. It is also hot enough to be used as a secondary cooking surface for parties. You can cook well on that shelf you normally do not use. The thick diamond cut grates should not be overlooked because they can hold a sear without buying a sear burner. Both brands have briquettes over their burners and are flipped over to be cleaned. However, the Hestan can stay flipped to be clean and be used while cleaning! Hestan's entry-level line known as the Aspire. This series features standard 304 stainless burners at 23,000 BTUs. You can still order with 5 custom finishes instead of the 12 on the pro series. The rotisserie burner also drops from 18,000 to 14,000 BTU. 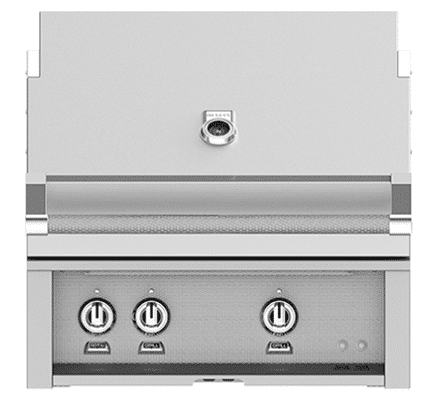 What's the difference between Hestan and Lynx Pro Grills? I’m sure you have noticed these grills have many similarities; high-quality construction, stainless steel grates, and high-powered sear stations to name few. But let’s cover how the Lynx and Hestan pro-style grills differ. Lynx has ceramic burners and Hestan's are Chromium, which resists tarnishing and has a high melting point. This will stand up to the elements better in variable weather like the Northeast. Ceramic is a new burner in the industry, but both burners will have lifetime guarantees. However, ceramic is unproven and can be broken if dropped or mishandled. 2018 will be the first year. Lynx does make an all infrared sear. However, infrared is a hot, direct heat and can be too fast for many people. The Hestan has thicker grates to absorb heat for searing without the possibility of burning foods like an infrared. Lynx has more options, all sear burners, all burners or a combination of both. Hestan has chromium burners with a sear zone. 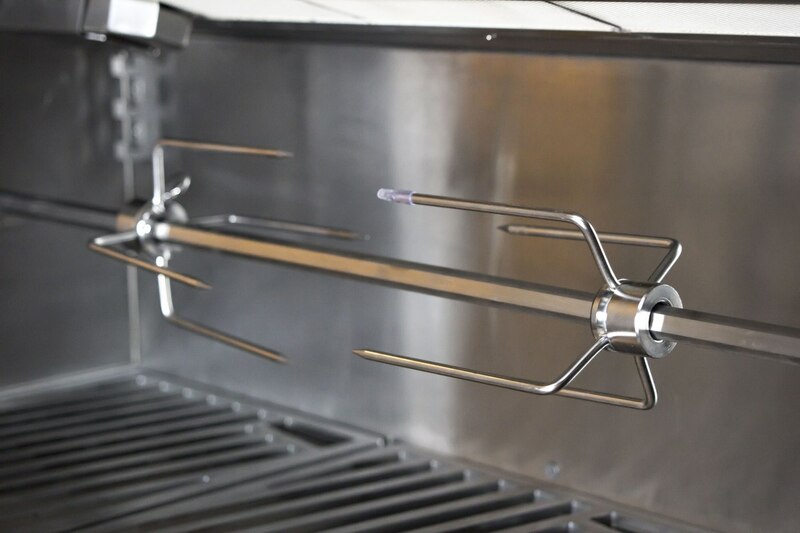 Lynx grills are still good, but they may have fallen behind to the newer grills like Hestan with better grates, rotisserie, and an 18,000 Vs 14,000 BTU secondary infrared rotisserie burner. Lastly, before you decide on a professional grill, make sure you compared it to a less expensive top of the Line model, like the Weber Summit. It may be a good option for roughly half the money. 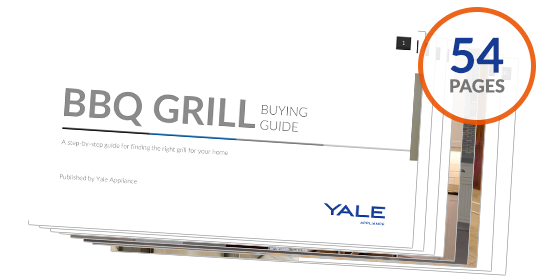 Get the Yale BBQ Grill Buying Guide with features, specs, and inside tips to all the brands. Over 350,000 people have already found answers in a Yale Guide.